Games Finder’s assembled list of games like Lord of the Rings Online (LOTRO) features more MMOs with large fantasy game worlds packed with features. Set within the Middle-earth universe LOTRO has become a popular MMORPG thanks to both its well-known setting and list of available features. Launching as a paid title but eventually converted to a free to play model the game is within the top handful of MMOs in terms of player base. 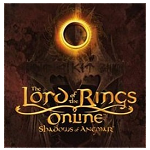 The main story line of Lord of the Rings Online is one of the best elements of the game, drawing on a wealth of writing to create a lengthy and detailed epic quest line presented to players in a book format. Beyond the story though the game is praised for it’s PvP mechanics (in particular PvMP), deeds which allow players obtain premium items without spending money, deep traits, housing and even a music system. The games like LOTRO set out below focus on MMOs where story and environments are the driving force behind the game. The options here also cover a number of MMOs with player vs monster vs player gameplay.